Looking for a little taste of culture or a great big gulp? 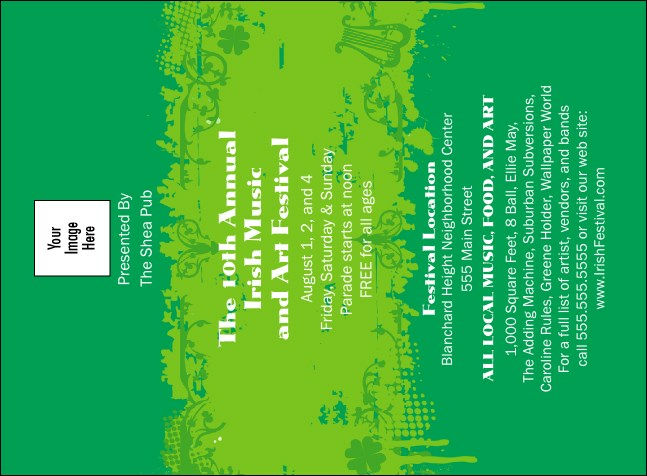 Start the festival off right when you print off a bold run of Irish Invitations in green and white. Shamrocks and harps adorn a template with space for all your event information so you can gather the clan and celebrate the old country. Everybody's welcome to great quality at an affordable price with TicketPrinting.com.